The news reports of the last days in Malawi concerning the Shire-Zambezi Waterway are highly contradictory. While People’s Party (PP) Director of Economic Affairs Jerry Jana still said end of April that long term projects would be pigeon-holed, news from Mozambique report the opposite. According to these mediums Malawi’s new president Joyce Banda and Mozambique’s head of the state Armando Guebuza agreed on reviving the prestige project of late president Bingu wa Mutharika. Long term projects like the Nsanje port will be shelved for a while so that we address issues that need immediate response … We need to look at the merits and demerits of some projects. As government we need to discuss with our neighbouring countries especially Mozambique to see if they accept the viability of the project. Those families affected had to uproot maize that was already planted … Some were old people who left crying – that was their only source of income. People are worried that if they can grab land without paying, what will stop them removing more people from the area. The large infrastructure project of Nsanje Inland Port was one of late president Mutharika’s prestige objects during his second term. In total the project cost US$6 billion. It is aimed at linking landlocked Malawi with the Mozambique harbor of Chinde at the Indian Ocean. 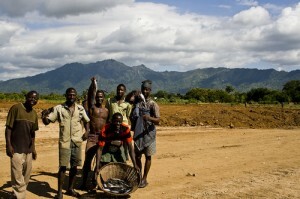 With that Malawi could save US$175 million for transport costs per year. Instead of 1200 kilometers for a round trip to the harbor of Beira, Chinde is only 238 kilometers away. But since the official inauguration in 2010, no freight had been transported to Nsanje since the government in Maputo refused to let any ship pass its territory. The Guebuza administration demanded environmental and feasibility studies before the new Shire-Zambezi Waterway could be used. In 2007, Malawi, Mozambique and Zambia signed an agreement for such studies. The African Development Bank (AfDB) for its part made US$3,5 million available in order to conduct these studies. After the diplomatic matters were settled between Lilongwe and Maputo, it still remained unclear what would happen to the regional infrastructure project. Now it seems progress is being made. 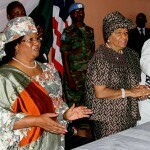 Joyce Banda visited Mozambique for a three-day state visit last Saturday. It was reported that the Shire-Zambezi-Waterway project was high on the agenda during the meeting between Banda and Guebuza. 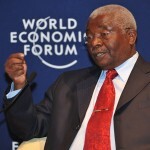 Mozambique media reported during the last days that the two heads of state successfully picked up the important topic. Among other things they agreed on a full navigability study exercise. 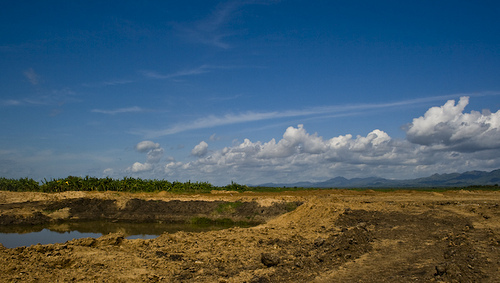 These efforts of the Banda administration to revive the waterway project occur in contradiction to the party’s agenda. Since the study exercises that were now agreed on, were already signed in 2007 by Malawi, Zambia and Mozambique, it still remains to be seen how the Nsanje Inland Port project will continue to develop in the future. The new efforts made by the administrations in Lilongwe and Maputo are definitely to be judged positively.